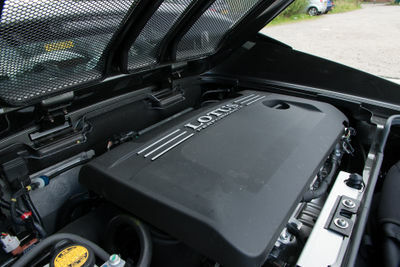 This page contains a list of Toyota engines used in Lotus cars. Engines are listed chronologically, in order of introduction in to the Lotus line-up. Introduced in early 2004 for the Elise 111R (later renamed the Elise R in 2006) and S2 Exige, the 2ZZ-GE and its derivatives became the mainstay of high performance factory Elise and Exige models until it was phased out at the end of 2010 with the introduction of the Euro 5 engine regulations (although some cars using the 2ZZ-GE were still produced in 2011 for the US market). Later models such as the Elise SC and Exige S add a supercharger to deliver upwards of 200bhp. This engine uses a the VVTL-i system, which alters the valve timing and lift once the engine revs increase above 6200rpm - assuming various criteria are met to reduce the likelyhood of damage to the engine, such as oil temperature and pressure. The standard cam durations and lifts are shown below. Some people find this cam change point a little late, making the car hard to keep 'on the boil', with a tendancy to drop below the cam change point if shifting up through the gears before the redline. To combat this, some people opt to have the cam change point lowered to 5700rpm. This is sometimes known as the 'Motorsport remap' and is offered by companies such as Hangar 111 and Essex Autosport. After-market supercharger upgrades are also available for the standard 2ZZ-GE engine, offering an upgrade path for those looking for more power from 111R's and early S2 Exige's. The main weak points of the 2ZZ-GE have problems with oil starvation at high corner speeds, camshaft failure (excess lobe wear) and clutch failure. These failures are rare, but for cars which are seeing track usage with semi-slick tyres it is recommended that sump baffles are retrofitted to avoid the oil starvation issues. Early 2ZZ-GE equipped cars us traditional throttle cable, but in later cars this was changed to a drive-by-wire system. The accompanying Toyota C64, 6-speed, gearbox is also recognised as a weak point, particularly in high-powered applications. The Exige S (and other supercharged Exige models) increase the power of the 2ZZ-GE engine through the fitment of a supercharger and intercooler above the engine. The intercooler is then fed cool air by the roof scoop, which is blanked off in the non-supercharged models, but opened up for the S. The standard Exige S has a relatively short roof scoop, but models such as Performance Pack equipped cars (240bhp), the Cup cars (up to 257bhp for the Cup 260) and RGB Limited Edition (again, 257bhp), have longer and larger roof scoops fitted. For the Elise SC the 2ZZ-GE is once again paired up with a supercharger, but the lack of space in the engine bay in the Elise means no intercooler is fitted. The 2ZZ-GE with supercharger, fitted to the Elise SC. 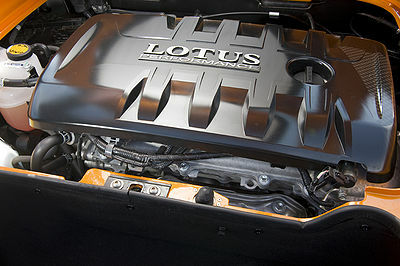 The Toyota 1ZZ-FE engine was utilised in the Lotus Elise S, produced between June 2006 and late 2010, when it was replaced by the smaller capacity 1ZR-FAE. Compared to the 2ZZ-GE, used in the Elise 111R, the 1ZZ-FE has a slightly lower capacity (1794cc vs. 1796cc) owing to a longer stroke and narrower bore. It uses the VVT-i cam gear system, and therefore lacks the high-lift second cam of the VVTL-i system in the 2ZZ-GE. This gives the engine a little more low down torque, but less top-end power and a lower rev-limit. It is paired with the C56, 5-speed, gearbox. Introduced in the MY11 Elise in late 2010, the 1ZR-FAE is the smallest engine fitted in to a production Elise at just 1598cc, replacing the entry level Elise S and it's 1ZZ-FE engine. The 1ZR-FAE delivers the same peak power (albeit high up the rev range) as the 1ZZ-FE, but gives up 9lb/ft of torque. To compensate the Elise 1.6 is paired up with the Toyota EC60 gearbox, a 6-speed unit as opposed to the 5-speed C56 box used by the Elise S (2005). Introduced in the Elise S at the Frankfurt Motor Show in 2011, the use of the 2ZR-FE - which is not used in standard form by Lotus, and is instead combined with a Magnuson R900 supercharger (utilising Eaton TVS Technology) - sees the return of a true high performance Elise after the demise of the 2ZZ-GE due to emission regulations. Compared to its predecessor, the 2ZR-FE is a lower revving engine with a redline of 7000rpm. It shares the 80.5mm bore of the 1ZR-FAE, but the stroke is increased to 88.3mm, giving a total capacity of 1797cc. Unlike the 2ZZ-GE the 2ZR-FE is equipped with Dual VVTi, meaning it lacks the high lift second cam. These stats are for the engine as it is used by Toyota. Lotus do not use the engine in this specification. For the MY12 Elise S a Magnuson R900 supercharger is added, and the following statistics apply. Compared to the previous generation Elise SC, this gives a 30lb/ft increase in torque along with lower emission figures and better fuel consumption. You can read our comparison of the Elise S and previous generation Elise SC here. 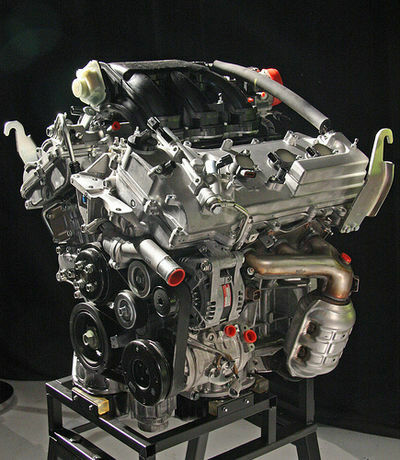 The Toyota 2GR-FE engine is currently utilised across the whole range of Evora production cars. A member of the Toyota GR family of V6 engines, the 2GR-FE is the largest engine in the range designed for transverse engine installations. It features dual VVT-i valve timing which allows for variable valve timing, but not variable lift as per the Elise 111R's 2ZZ-GE engine. The cam gear is driven via a cam chain, not a cam belt. 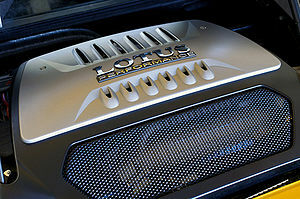 While the base model Evora uses the Toyota 2GR-FE seemingly without modification from its Toyota installations Lotus developed their own T6e engine management system. This allows the rev limit to be increased to 7000 rpm when the car is running in Sports Mode (except when combined with the IPS automatic gearbox, due to gearbox limitations)5. Fitted in the Evora the 2GR-FE produces 276hp (280PS/206KW) at 6400 rpm, and 258lb/ft (350Nm) at 4600 rpm. For the Evora S and Exige V6, Lotus utilise the 2GR-FZE varient of the 2GR-FE, first seen in the TRD Aurion.6. The 2GR-FZE as fitted to the Exige S (V6). 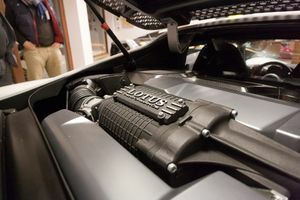 This adds an Harrop HTV 1320 Supercharger (utilising Eaton TVS Technology) which boosts power to 345hp (350PS/257.5KW) at 7000 rpm and torque to 295lb/ft (400Nm) at 4500 rpm, up from 323bhp in the TRD Aurion - although torque is slightly lower than in the Toyota which peaks at 300lb/ft. For the various Evora race project Lotus worked have with Cosworth to develop high power, naturally aspirated, variants of the 2GR-FE capable of competing in various motorsport catagories. To do this the engine was enlarged to 4-litres and fitted with a dry sump oil system to ensure reliable operation even under the high sustained G-forces experienced on the race track.7 Power varies from around 350bhp for the Evora GT4 up to 470bhp for the Evora GTE which is set to compete under GT2 regulations. This page was last modified on 17 November 2012, at 22:25.